Ford Motor Company came out on top in Canada through the first three months of the year, reigning as the country’s top automotive brand. Sales through March total 61,036 vehicles, down 2.7% year-over-year from 62,704 vehicles delivered in the first quarter of 2017, but still more than enough to stave off other brands. Total vehicle sales in March totaled 26,066 vehicles, down 1.6% year-over-year. Ford’s car sales in the first quarter are down 4.1% at 6,732 vehicles delivered. Ford was led by the Focus, with 2,794 vehicles delivered; Mustang, with 1,702 vehicles delivered; and Fusion, with 1,152 vehicles delivered. 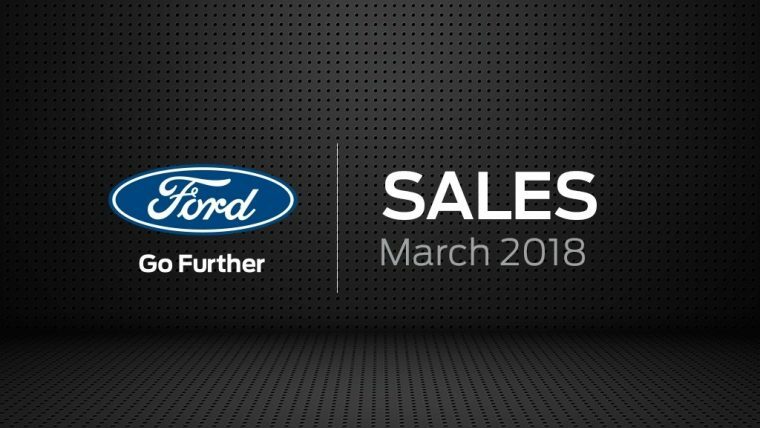 Thanks to a big month from Focus, Ford’s car sales were up 1.5% in March at 3,018 vehicles delivered. Truck sales were also down in the first quarter, falling 2.5% from 55,684 trucks/SUVs/vans sold through the first three months of 2017 to 54,304 vehicles delivered thus far this year. F-Series sales have thus far been solid at 28,491 trucks delivered, and Escape sales total 9,472 vehicles delivered. Ford truck sales in March were down 2% at 23,048 units delivered. “Ford’s lineup continues to resonate with consumers across the country, and there’s more new product on the way, including hybrids of our most popular vehicles,” said Mark Buzzell, president and CEO, Ford Motor Company of Canada, Ltd.
Lincoln enjoyed 26% growth in March thanks to best-ever monthly sales of the MKC and second-best-ever sales monthly sales of the Navigator. Lincoln’s first-quarter sales are the highest the brand has seen since 2011.